This recipe for Grilled Meatloaf Burgers came from my Mom. It was in one of her old cookbooks. She recently made them and immediately sent me the recipe. She said Plain Chicken readers NEEDED this recipe! I did what any good daughter would do - I added them to our menu. O-M-G! 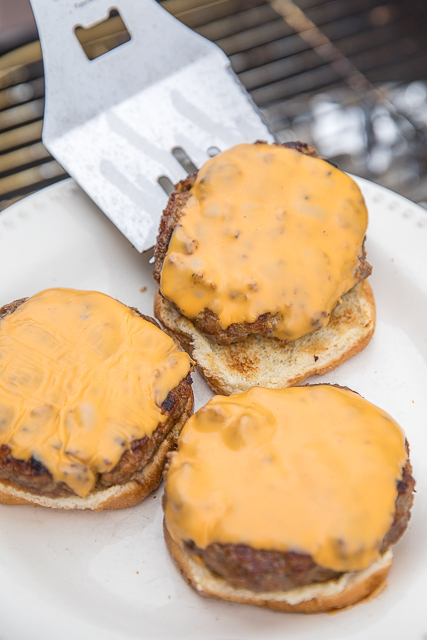 These Grilled Meatloaf Burgers were terrific! Tender, juicy and full of flavor. We ate these for lunch and again for dinner the same day. They are even on the menu again this weekend. We really LOVED these Grilled Meatloaf Burgers. 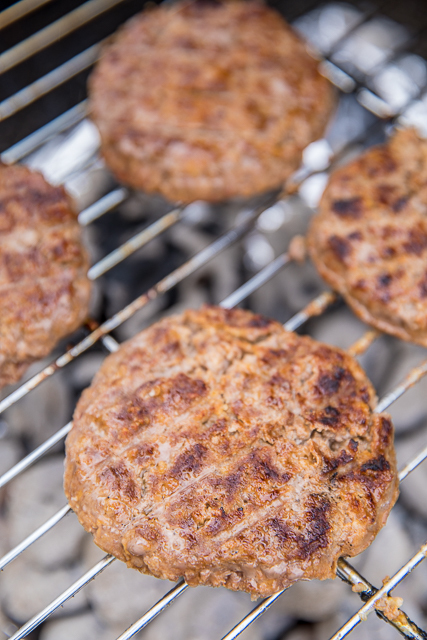 If you don't want to fire up the grill, you can cook these Meatloaf Burgers in a skillet on the stove or pop them under the broiler. Either way, I promise they will taste great! 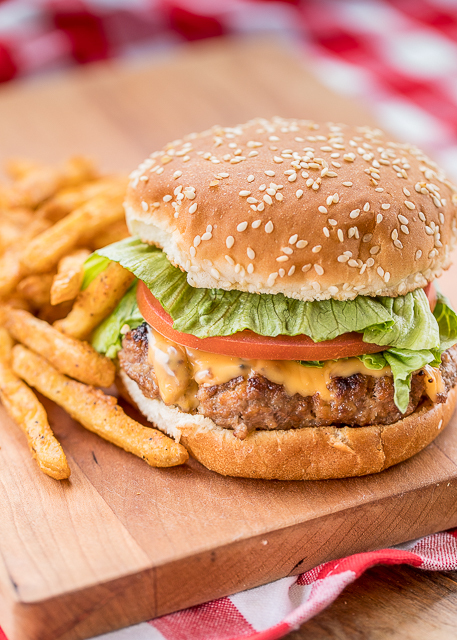 We served these Grilled Meatloaf Burgers with some french fries. They would also be great with potato salad or some Pepper Jack Pasta Salad. Combine all ingredients except hamburger buns and cheese. Shape into 3 or 4 round patties. Prepare grill. Cook burgers 3 minutes, flip. Top with cheese, if desired, and cook an additional 2 to 3 minutes. Serve on toasted hamburger buns. Soft bread crumbs are made from fresh or slightly stale bread. Use a blender or food processor to break the bread into fluffy crumbs. I use a kitchen scale to divide the meat mixture into equal parts. 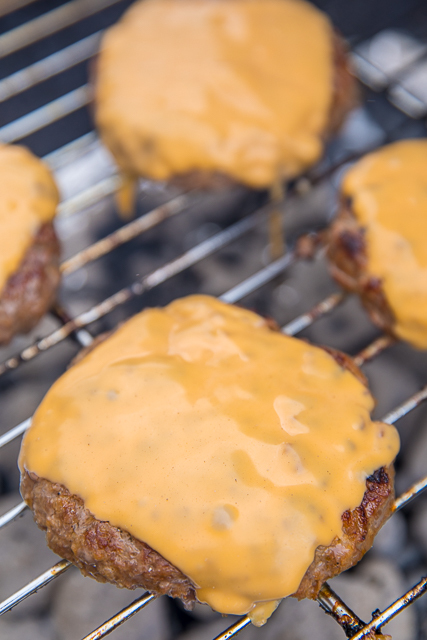 These burgers are delicious, full of flavor, and oh so easy to make. Simplicity at it's best! The only thing I changed, was I used plain dry bread crumbs like Progresso brand. I didn't make my own soft bread crumbs, but it worked out very well and saved me a step. 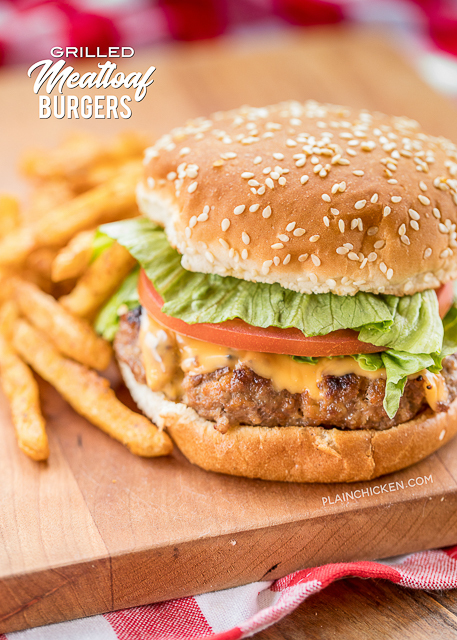 Your Pepper Jack Pasta Salad is an excellent side dish to go with these yummy burgers.